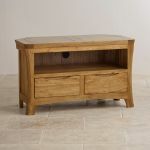 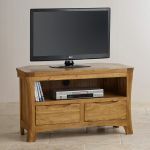 The Orrick Rustic Solid Oak Corner TV Cabinet is a compact yet highly functional unit with an exclusive rustic design. 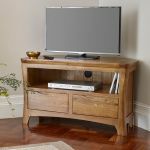 Expertly crafted from A-grade solid oak, it features a large shelving area for your media players, consoles and appliances, with two spacious drawers nestled below for games, DVDs and accessories. 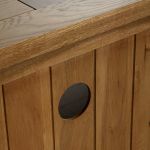 The generously-proportioned top is angled at the back to allow the cabinet to be positioned into a corner. 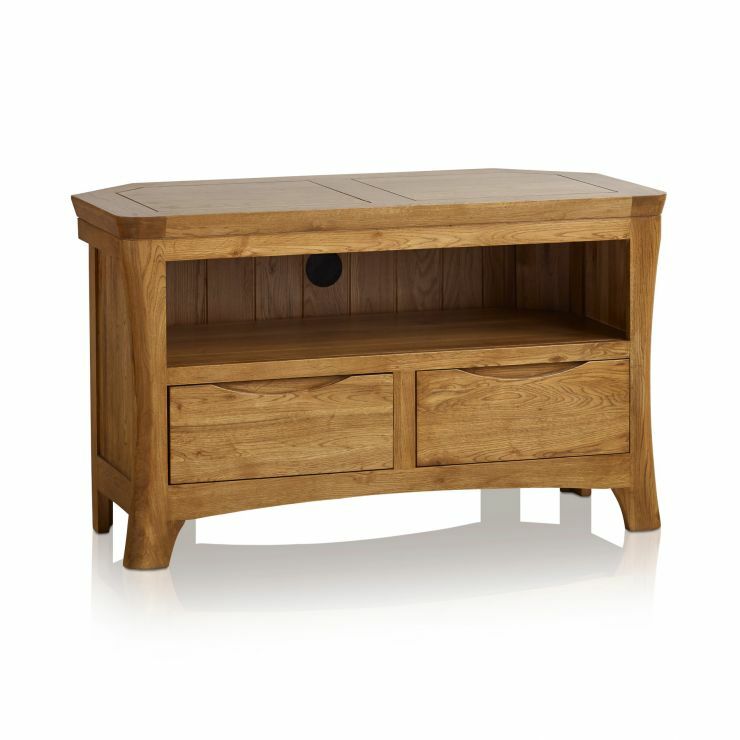 The sleek inset lines are offset by the curves of the sculpted handles and the softly chamfered edges. 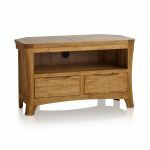 Due to the nature of traditionally crafted furniture, each item from this range is one of a kind - entirely unique to your home. 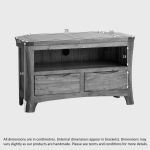 Why not check out the rest of the collection to discover more rustic items for every room in the house?